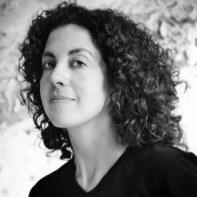 Lia Purpura is the author of seven collections of essays, poems and translations. Her honors include a Guggenheim Foundation Fellowship, Finalist for the National Book Critics Circle Award, National Endowment for the Arts and Fulbright Fellowships, and the Associated Writing Programs Award in Nonfiction. Recent work appears in Agni, Field, The Georgia Review, Orion, The New Republic, The New Yorker, The Paris Review, Best American Essays, and elsewhere. She is Writer in Residence at The University of Maryland, Baltimore County, and a member of the core faculty at the Rainier Writing Workshop. A new collection of poems, It Shouldn’t Have Been Beautiful (Penguin) will be out in 2015. This interview was conducted via email by Interview Editor Rosie Huf. Of the process, she said, “It was a true pleasure to have had the opportunity to interview Lia Purpura. I admire her passion for the natural world and her devotion to transcendent language.” In this interview, Lia discusses traversing life as a writer, her commitment to authentic reflection, and her upcoming poetry collection It Shouldn’t Have Been Beautiful. Superstition Review: Your essay “There are Things Awry Here,” first published in Orion Magazine, resonated with me a great deal as I too have experienced the lure of Tuscaloosa. Would you discuss what ignited your desire to write this essay? Lia Purpura: I don’t always recall the moment of ignition, but in the case of this particular essay, it was a sharply uncomfortable and therefore memorable event. I was staying at a hotel and very much needed to get out and walk, breathe, touch something not-concrete, built, ugly, monumental—but the only space available to me was a huge parking lot, ringed with even more big box stores. The very few people in sight were moving fast from cars to stores without any connection to the land. A few gardeners were trimming the sparse grass around the lot. I decided to walk anyway, and was acutely aware of my body moving though this inhospitable landscape, of feeling very small and very much not-a-machine—and very out of place and strange looking. And while the walk had the effect of physically tiring me out (which I needed), I remember, too, going back to my hotel room and in an attempt to try to feel real again, taking notes on the sensation, the displacement I just described. Those notes and observations—and what grew into a series of questions about the history of the land, eventually became the essay. SR: At one point in the essay you state, “I knew in this vacancy something asserted. Something strange—that is, real—and insistent was here. The land didn’t mean to be torn and tar covered, wasn’t meant to sprout stock farmers, farm women, and ranchers. The land asked to be considered, and seriously.” What does the role of nature play in your work? LP: To find ways to talk about, dramatize, and imagine states of being that we have no language for is one way I think about the inner life and drive of writing—both poetry and prose. Confronting the ruin we, as humans, perpetrate on other creatures and the land/air/water is another task that’s central to my life as a writer. I believe very deeply that art can address the biggest issues of our day in that it can allow readers (viewers, listeners) to inhabit new ways of being alive, of caring and taking care. Phrases like “There’s nothing more important today than (insert critical issue here)” are really tempting—any good, hearty statement about extremes is tempting and cleansing and rousing—but they ultimately end up polarizing the big issues and then one gets encamped and ends up behaving in a partisan way upholding a single issue and failing to see interdependencies. Or one feels lessened and cheapened by shorthand and the too-simple terms one becomes associated with. And yet, there’s a need to stand for, stand up for, and be lucid about stuff that matters, isn’t there? This is a long way of saying that my concerns about the losses we’re facing (of life forms and species, habitats) and the destruction we’re continuing on with despite ample evidence of the consequences – are central to my thinking and have been since I was a child, and drive my work in a core sense, as I ask how I might talk about such things, and why, and why in the forms I’ve chosen to work in, poetry and essay. So “nature” doesn’t so much “play a role” in my work as it is a force I’m conscious of talking to and about, and the sets of mind, the cultural, aesthetic, and spiritual habits of mind that are really hard to pin and yet which drive so much decision making—these are the things I’m most interested in engaging. SR: How do you navigate between the writing of nonfiction and poetry? Have you ever explored other genres? LP: I’m involved with poetry and prose at the same time. One urge usually asserts when I sit down to work—I kind of wait to see which pushes its way to the front first. Or—if I’m deeply involved with a poem or set of poems, the essays rest a while and cook on their own—then, after the poems are tended, the essays get their chance to be front burner. Each form calls up a different stride and so it’s been really good for my overall musculature to have both forms—the density of poems and the extension of prose—to work with, and the time signatures of each—brevities or sustained lines of thought—those often across genre lines. SR: In “Of Two Minds,” you state, “When I read Dickenson and Whitman back to back, I am reading for the precipitous rise and fall between them. If styles are territories, I want to tack along those open ranges and consider the America that holds them both.” How has reading instructed your own style? LP: The essay “On Being of Two Minds” is an extended meditation on the phenomena of holding a lot of contradictory affinities together in one person: not resolving, but recognizing. Pretty much as soon as I assert a love for one thing (Whitman and the talky, intimate, endless, raging song of it all) a kind of opposing force rears up (Dickinson and the taut, bare, dense scaffolding of thought out of which a wrangling with spirit is built). This thought gesture, an assertion followed by another equally powerful assertion, is just a fact of what it is to be me. So my reading is pretty various and I’m interested in and fed by a lot of different styles and stances and genres. I need a full alphabet of nutrients. SR: So brief yet so mellifluent, “Gone,” published by the American Poetry Academy, is a perfect example of your strict control of language. Can you expand on how you translate an idea into written word? Then, what is your process when finalizing a poem or essay? LP: One’s “style” (or whatever you want to call it: form or sense of how to use space for the purpose of arguing, calling up a sensation, accompanying or pushing against silence) is a holistic response to living and to certain inclinations. The longer you write, the more your sensibility includes not just exploration but responses to your own past work. I can’t say much more than that. I’m working very “short” these days in the poems and that particular poetic shape is something that likely was established when I was young—I collected sayings and quotes and maxims in a little notebook I shared with a friend. Other kids had baseball cards but we had our quote books and the brevity of those entries and quotes was thrilling to me. I recognize a similar thrill in writing very short these days. SR: From where did the concept for “Gone” arise? Is there a particular place, either mental or physical, from which you draw inspiration? LP: The initial moment, the central moment of thought, the burn, the way the central thought arrived was completely clear—and by “clear” I mean I understood a truth before words came to loft it into the light. Brief as it is, or because it’s brief and wants only the essential in it and no more garb than that, it actually took a very long time to settle this one out. Years. And many, many drafts. SR: You are a writer, an educator, a wife and, a mother. How do you make time to write? Do you have a set schedule that you try to follow? How do you maintain creative flow through distraction? LP: After writing for a while, you can “write” by being engaged in the practices you’ve been building all your life, even if you’re not at the moment “writing.” I don’t mean to suggest that one can magically channel it—but here: I walk a lot. So on a day that’s so busy I can’t effectively get to the desk (emergency dentist visit, sick dog, leaving for a reading on the other side of the country) I can walk or work through stuff in my head while I’m standing in line, or sketch and save for later. Or read. Or—and maybe this is most important—just allow the space in front of me to remain open (consciously not-fill it with electronic “communication” which, as a friend recently said “the more I interact with it, the more it demands interaction”). I can’t sit at the desk all the time but I can remain awake, alert, take notes, read over my work, so that even when I’m not sitting down to it, I’m touching it. It’s important, too, to let things sit, let them be, and to return to them more ready to listen than you might have been when you last met. SR: What are you currently working on and where are you in the process? LP: I’ll have a new collection of poems out in October 2015 with Penguin, It Shouldn’t Have Been Beautiful, so I’m finishing up work on that ms. And I’m working on new essays (some recent ones are out in Orion, and more poems are coming out in the New Yorker soon). SR: In a recent segment of NPR’s “All Things Considered,” Audie Cornish states, “For many young writers from different ethnic backgrounds, it comes down to this: They believe the diversity they experience in their daily lives should be reflected in the books they read and the stories they write. And if a culture that supports that doesn't yet exist, they are willing to create it.” How does diversity influence the characters and stories you create? What role does culture play in your imaginative life? Could you reflect on your perception of diversity in publishing? LP: I read Superstition Review’s interview with Linda Hogan and so much of what she said was meaningful and important to me, but this really stuck with me: “Human language isn’t all that is spoken in the world around our lives . . . we are surrounded by voices intelligent and in need of respect.” I couldn’t agree more. There’s so much about this that I’d like to address … in order to listen to these voices, in order (and this may be the first order for many people) to believe these voices even exist we need specially alert and awakened ways of listening. Poetry wakes us. Good writing of all kinds demands that we be alert, that we read from the neck down and not merely engage the head—that reading be a full, bodily experience. Which requires—well, many things—but the most base line requirements are time and patience and desire. In terms of many different kinds of humans living closely together, as we do in cities (a chance I have in Baltimore and at UMBC where I teach) “diversity” can mean the special alertness that comes when you’re encountering a voice that’s new to you and remaining awake to it, and (if your intention is to understand on terms other than your own) resisting judgment, resisting sifting that experience into a place you recognize, because you’re at the center of it. Not being at the center of all experiences means practicing being, as Keats suggested “…in uncertainties, mysteries, doubts, without any irritable reaching after fact and reason.” In a very deep way, staying close to what’s familiar, not being willing to be utterly outside another’s experience is a way of asserting control—as is refusing to believe that your experience may be outside another’s frame. I teach at University of Maryland, Baltimore County, a school that’s extraordinarily diverse—in one class last semester were students from five different countries, first generation college students and first generation Americans, returning students, students from deeply urban and deeply rural Maryland. I’ve never had more exciting discussions, because everyone is, in some way “different” and that’s the expectation. In terms of young writers and reflecting their experiences—as a teacher, it’s my job to provide a huge range of voices, so students can discover for themselves what’s possible, “allowable,” what kinds of languages they can make use of in their work. LP: I write in a second floor room in our house, looking out at the backyard; which means in the summer, a bank of green, and in the winter, neighbors’ backyards and the next street. My walls are pretty bare—I’ve thought for years, nearly 20 years now, that I’d someday put up more stuff, but whenever I do… powerful art feels way too invasive and chatty and full of its own life and thought and personality and it kind of makes the space too cacophonous, and I feel crowded out by its assertions. Usually things, books, papers pile up and then I whirlwind through and clean a few times a year, but the truth is that I like to have—maybe need to have is more accurate—these piles around as visual reminders of all that’s in process. It’s totally at odds with my drive for clean surfaces and lines, but well, that’s just another contradiction I live with on a daily basis. I have a large collection of bones—I’m amazed by the planes and angles and the presence of those animals and I like having them near.